Contrary to what I said before, I have finally managed Windows 10 to bug me. Though this is not the most annoying thing, it does get on my nerves sometimes. What I am talking about is the bug which won’t let me select the default browser after the anniversary update. What’s happening is that in the Settings app, whenever I select the browser of my choice, it doesn’t honor my selection. So, I am stuck with using the dreaded IE or the Edge browser for opening links by default on my PC. Quite honestly, it’s not something that occurs often, so it’s not a big deal, but nevertheless, it is not what I want on my PC so I’ll fix it. So, I am stuck with using the dreaded IE or the Edge browser for opening links by default on my PC. Quite honestly, it’s not something that occurs often, so it’s not a big deal, but nevertheless, it is not what I want on my PC so I’ll fix it. As you can see in the above gif, the Web browser field isn’t saving our setting for any browser which in turn makes IE as the default choice for Windows. After tinkering a bit, there are two fixes that I have found for this. 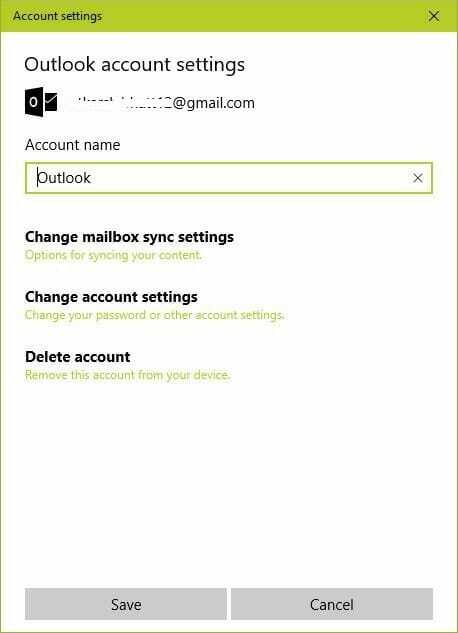 The first one is to switch my MS account to someone else’s, and the second one is by using the classic Control Panel to set the Default programs. Since the new Settings app isn’t saving your default browser, you will need to use the Control Panel to set the default apps. Press Windows key and type “control panel” and open the control panel. Here click on the “View by” field on the top right and select Large icons. Go to Default Programs > Set your default programs. In the Left window, select the browser of your choice (Google Chrome) and click on Set this program as default. If for some reason, this doesn’t work for you, though it should, you can try changing your MS account associated with your PC. It might be the case, that the MS account associated with your PC doesn’t have the permissions to set up the default apps for the OS. In this case, you will have to switch accounts with someone else’s or even an offline one will do. Note: performing the above step will result in the removal of your settings and personalization from your PC. Proceed with caution. Press the Win key to open the Start menu and type “Settings” (without quotes). Open the settings app from there. Head over to Accounts > Email & app accounts and click on the email address of your account. Click on the Manage button to open the Account settings. On this screen, click on Delete Account. 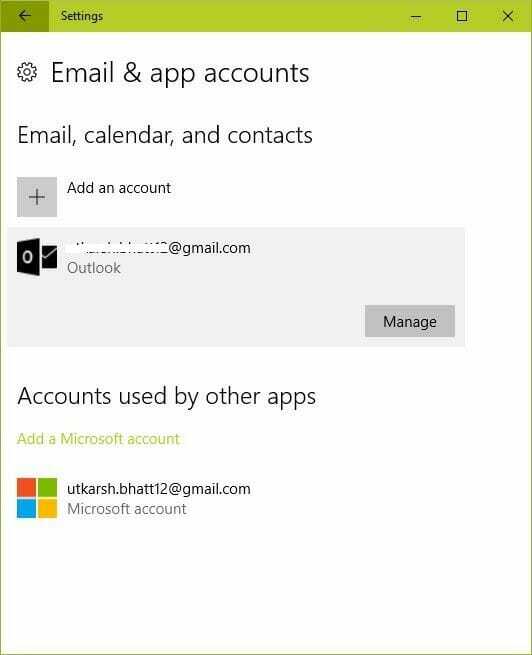 After your account is deleted, restart your PC and then again head over to the Settings > Accounts > Email & app accounts. Click on Add an account. In the “Add an account” window, click on the account type you want to enter and proceed with the steps shown. Once the account has been changed, you can head over to the Settings > System > Default apps. In the Web browser field, select the Google Chrome (or any browser of your choice). That’s it. Now you can change the default browser in Windows 10 anniversary update. 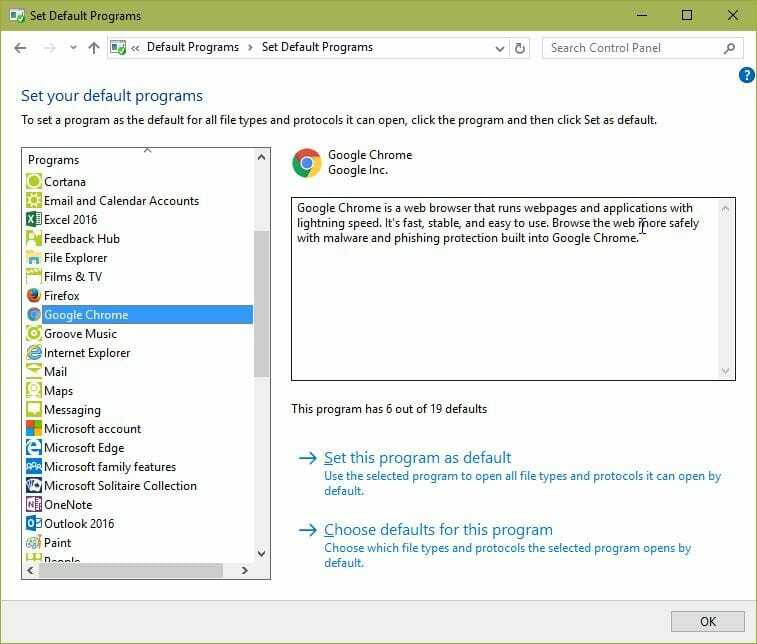 This method is also useful for setting up defaults for all other apps in Windows too. Thank you. Using “Default Programs” in Control Panel was quick/simple fix for me. There is a “set default by app” link at the bottom of the default menu that will take you to the control panel defaults page. Thanks for the quick fix. Setting “view as” to “large icons” is incredibly primitive, though, as a methodology. I’ve completely forgotten about the tool in the control panel. Ty! Good Gravy, Dude. You rock. Haha, thanks. You rock too. What kind of problems are you getting? Can you please give me more details? The method works for me. What error are you getting when setting the defaults in the Control Panel? Well, this looks like just another bug, if this is happening to your PC. If you have more than one web browsers installed, try removing them. For example, remove Firefox, or Opera if you have them. After that, try setting Chrome as the default from Control Panel. One more thing that you can try is using the Run box to set Chrome as the default on your PC. Press Windows key + r button to open the Run box. In the Run box, type https://www.google.com/ and press enter. Now, Windows will ask you which browser you want to open this link in. Select Chrome and also check the box saying Always use this app. This will surely fix your woes. I hope that helps. How did you uninstall the Internet Explorer? I don’t think that you can do that without messing with the Windows features. The solution for your problem is to reinstall Chrome or whatever browser that you want to use. Download Chrome or Firefox. On the first run, the browser will ask you to set it as the default. Select that option and that might work for you. changed the ownership settings! anyway i tried reinstalling chrome previously and it didnt work either. finally gave up and restored my laptop and redownloaded and now all the settings are back to normal 🙂 thank you so much for your help!!! Thanks, I had this problem for weeks, signing into MS account fixed it. I’m glad it worked out for you. Right-click on your Desktop and go to New > Text file. This will create a blank text file on your Desktop. Now, rename this file to xyz.htm. After that, double-click on it. You will get a popup like this one. Click on Always use this app and select Chrome or whatever browser you fancy. Do the same for a xyz.html file too. Try this. Nope. That didn’t work. All it did was open it as a notepad file. Yeah, it will open a notepad file. Clicking on Always use this app checkmark sets the default browser for opening HTML files. Most pages are triggered by HTML or htm. You should check now if the default browser is set or not. For that, press Windows + R to open Run. In the Run box, type https://google.com and press Enter. Google’s home page should open in your default web browser. It opened MS Edge. Even though my browser isn’t set for anything. That means Edge is the default browser on your PC. Nevermind. It’s set for MS Edge but I can’t switch to Google Chrome for some reason. And now it’s set to nothing again. I’m going to try the “Open With” method. I’ll tell you how that goes. Apparently it didn’t convert into a .html or .htm file. It’s still a text file. It didn’t convert to html or htm file because you didn’t remove .txt at the end of the name of the file. I’m sure that your file name looks like xyz.html.txt. It should be xyz.html. Try that. All it says is xyz.html . If I type the name only the .txt won’t show up. Ah, I get it. Your PC is set to not show the file extensions from the Folder Options. Press the Windows key and search for Folder Options in the start menu search. Open it. Click on the View tab and in the Advanced settings, uncheck the Hide extensions for unknown file types. Like this. Click Apply. Now you will see the file on your Desktop as xyz.html.txt. Remove the .txt from the end and open it. You will get the option to set the Default browser. I did both of them. Both .htm and .html, and I set both of them to always open with Chrome. But it didn’t set Chrome to the default program. That’s disappointing. I guess that you should try setting the browser defaults from the Control Panel once again (as mentioned in the post). The Settings app from Windows 10 can be a little problematic sometimes, but the Control Panel works flawlessly. Restart your PC, perhaps before doing that, though. Is 16 out of 19 defaults going to work? Yeah, that should. You can also try clicking on Set this program as default for Chrome (or whatever browser you want) in the Control Panel > All Control Panel Items > Default Programs > Set Default Programs. I’ve done that. Still 16 out of 19. I can’t do 19 out of 19 because the HTTP file and others can’t be ticked. And that didn’t work. I tried to check if it set it as my default program but nope. Something might be messed up on your PC. You can try repairing the OS if you want to fix this problem. No. You won’t lose any of your data during the repair process. The installer gives you the option to keep all your personal files and apps untouched. See this picture and this one too. Read the instructions fully before doing anything, though. Feel free to ask me more if you get any problems. Well, is there any other way? You can try reinstalling your favorite browser. Go to Control Panel > All Control Panel Items > Programs and Features. Double-click on your browser (Chrome or Firefox) and uninstall it. Go to google.com/chrome or Firefox.com and download them again. Looks like repairing Windows is the only option you have then. Try it out. Make backups if you are paranoid about losing data. Though, you shouldn’t if you select all the right options in during the process of repairing. 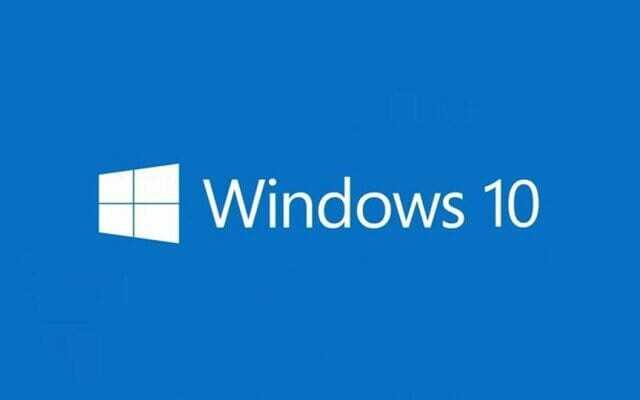 I have tried repairing Windows 10 on my laptop as well. Didn’t lose any data from C:\ drive. Some applications were uninstalled, but I could reinstall them easily. Their settings and other files were intact. You repaired Windows and still, you can’t set the default browser? That’s quite odd. I’m sorry, but it looks like you’ll need to wait for Microsoft to fix this bug. Try to pin Chrome to your Taskbar. You can always launch it from there. I came across two apps for Windows 10 for setting up the default browser. Browser Choose 2 and BrowserSelect. Try them if your problem still persists. Thankyou. Finally something that worked! it didnt work. GREAT!!! THANK YOU SO MUCH!!! YOU SOLVED ALL MY PROBLEMS!!! Doesn’t work anymore. When you click manage default programs, it takes you to the new windows version, not the old one like I assume it did when this was written.